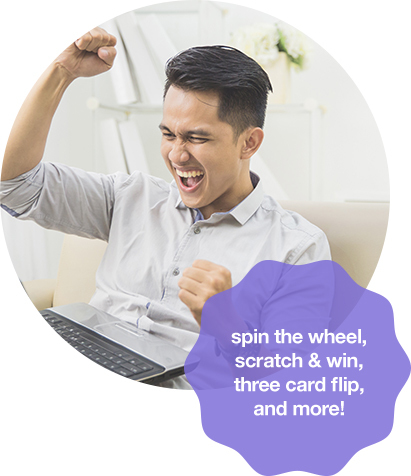 Instant win games are a fun way to interact with consumers, add some excitement to your sweepstakes, and provide instant gratification! We can seamlessly and inexpensively layer instant win games onto our TurnkeySweeps™ to make the entry experience more memorable for your entrant. We also find that games often increase entry rates because entrants feel like they have a better chance to win. Our team will help you strategize the best plan of attack to identify the most effective types of instant win prizes to award and how many of them you should give away. Need help with prize fulfillment? We can verify winners and ship all instant win prizing for you!